The honorific 'captain' is now all too glibly used in Egypt but when Mahmoud el Gohary was respectfully addressed, it was a title that fitted perfectly. 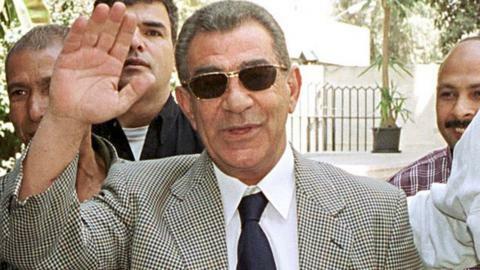 Not only was the former Egypt international player and coach a former army officer but El Gohary, who died at the weekend, was the effective commander of Egyptian soccer through much of its glory period. Short but with a distinctive military bearing and unusually piercing eyes, he is one of the legends of the African game. The majority of his obituaries will note primarily he is the only man to have won the African Nations Cup as both a player and a coach. El Gohary featured in the line-up in 1959 when Egypt beat Sudan 2-1 in Cairo in only the second Nations Cup final and then coached the team, captain by Hani Ramzy and catapulted by the goals of Hossam Hassan, to the 1998 title in Burkina Faso. But El Gohary's achievements were multiple and, not least, included coaching Egypt at the 1990 World Cup in Italy - the last of their two appearances on football's greatest stage. El Gohary, who was an Al Ahly striker, made his debut for Egypt against West Germany in Cairo in a famous 2-1 win for the home side in 1958 and at the the following year's Nations Cup he scored a hat-trick against Ethiopia in the opening game. In 1960 he went to the Olympic Games in Rome where Egypt competed in the football competition. Five years later he went to work on the coaching staff, providing loyal back-room service for 15 years before he became head coach. He had three different spells with Ahly and one season at their arch-rivals Zamalek, with whom he won the African Champions Cup in 1993 to match his achievement for Al Ahli in 1982. On both occasions his teams beat Asante Kotoko in the final. But El Gohary made his name at the helm of the Pharaohs, taking over in 1988 from Welshman Mike Smith. He did not win in his first five games but within a year had qualified Egypt for the Word Cup at the end of a tempestuous tie with Algeria. He was replaced in 1991 by the German Dietrich Wiese but returned to take Egypt to the 1992 Nations Cup and he stayed in charge until mid-1993. A third spell began in 1997 and culminated in success in Ouagadougou over Bafana Bafana. He was fired in 1999 when Egypt lost 5-1 to Saudi Arabia in the Confederation Cup in Mexico, a defeat the Egyptians found almost impossible to digest. However, the Egypt federation begged him back within a year to replace the Frenchman Gerard Gili and he took them to another Nations Cup - this time in Mali in 2002. But he resigned after they lost to Cameroon in the last eight. El Gohary then had success in Jordan in a five-year spell where he energised their football to new heights. His legacy is not only his impressive list of triumphs but the legion of world class players he nurtured - virtually three separate generations of top class African superstars.